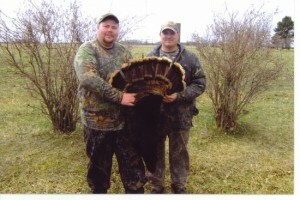 Our skilled guides will hunt with you and your friend to get the most out of the hunting opportunities. We do hunt as friends, meaning they have the option of carrying a weapon and taking a bird after you get one! They are all donating their time and expertise to furnish you a quality hunt! We have an estimated 7,000 acres of private land to hunt, and on top of that we have a lot of public hunting areas with great populations of bids. Our local sources tell us that there was a good hatch the previous number of springs, and there has been a great population there for years. 2-5 Arrive at Whispering Cedars Baptist Camp. Check in. Get bunk assignments. Get Settled. Due to our past success, we anticipate this camp filling up quickly. So register as soon as possible. We have only 15 slots for this camp, and they are half spoken for now as on Jan 15, 2012.